Butler Drinking Water at Risk! EdgeMarc Energy recently started drilling six Marcellus Shale gas wells in Oakland Township one mile away from the Oneida Valley Reservoir. The well pad, Draco, is .23 mile from a stream that drains into the Connoquenessing Creek, upstream of the water treatment plant on Route 38, which takes in water from the creek. 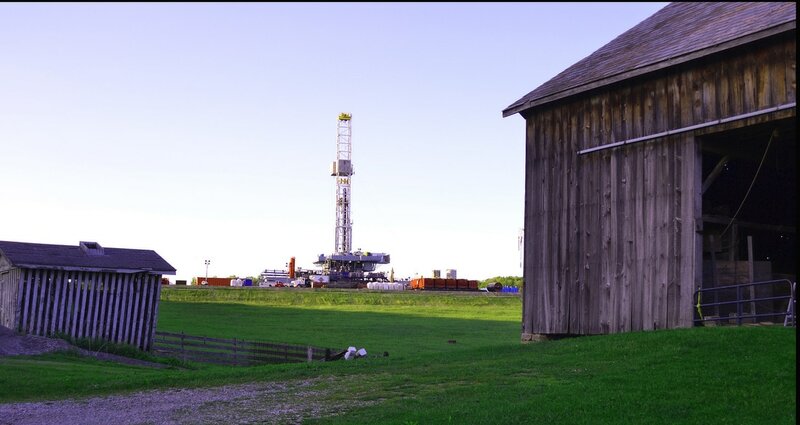 The state Department of Environmental Protection recently approved nine wells on the Ursa Minor well pad, which is about ½ mile from the Draco well pad and is also in the watershed for the reservoir. The Ursa Major well pad, which has four wells, is in the watershed for the Boydstown Reservoir, a smaller reservoir upstream of the Oneida Valley Reservoir. Several other properties have been leased, but not yet drilled, even closer to the water. There is heavy, chemical-carrying truck traffic travelling on Route 38 daily. The Oneida Valley Reservoir serves as the municipal water source for over 35,000 people in Butler County, Pennsylvania. There are numerous streams which empty either directly into the reservoir or upstream into the Connoquenessing Creek. Sign our paper petition to the DEP, Rep. Brian Ellis, and Sen. Scott Hutchinson. Sign our Change.org petition and share with your friends. Call, email, or write to your elected officials, telling them to protect your water supply.